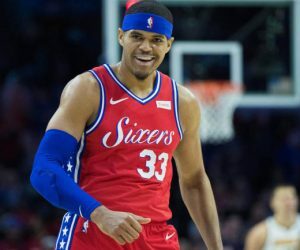 SIXERS TV RATINGS SOARING: HIGHEST VIEWERSHIP SINCE 2003! 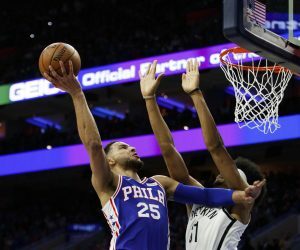 Unlike the Flyers, who suffered a 25% decline in regular season TV ratings, the Sixers are the flavor of the month. Last Saturday’s Heat-Sixers Game 1 had a 2.5 rating and 4.0 million viewers on ESPN, up 32% in ratings and 27% in viewership from last year (Grizzlies-Spurs: 1.9, 3.2M) and up 32% and 37% respectively from 2016 (Celtics-Hawks: 1.9, 2.9M). It was ESPN’s most-watched opening weekend playoff game since 2012 (Mavericks-Thunder: 4.1M). Game 2 of the series on Monday had 3.4 million viewers on TNT, down 5% from last year (Pacers-Cavs: 3.6M) but up 7% from 2016 (Mavs-Thunder: 3.2M). Ratings were not immediately available. 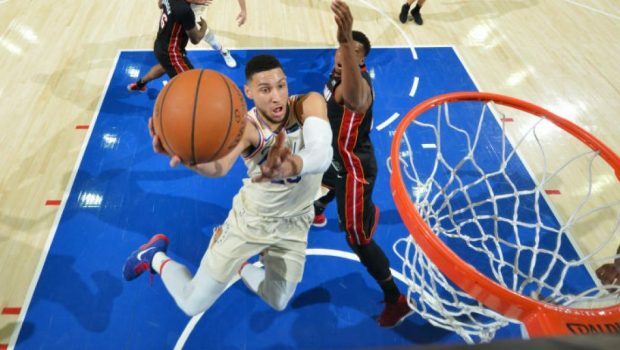 Game 1 had a 6.1 rating on NBC Sports Philadelphia, at the time the highest Sixers rating on the network since 2003. 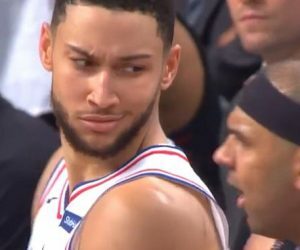 That was surpassed by a 7.3 for Game 2, the network’s highest Sixers rating since 2002. Previous FLYERS TV RATINGS CRATER! DOWN 25%, NHL IN FREE FALL!! Next CHECK OUT THE ENTIRE 1ST ROUND OF NFL DRAFT, PICK BY PICK!